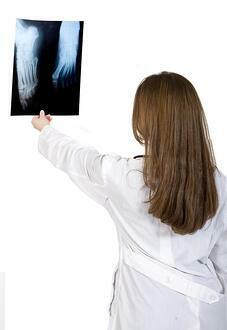 The most common site of foot-related arthritis is the big toe. This arthritis may be caused by degeneration of the cartilage due to structural problems or injuries over time. The wear and tear on the toe can create significant pain in the joint. Symptoms of arthritis in the big toe include toe pain, a “grinding” feeling, swelling or stiffness. (Stiffness is particularly common.) These symptoms are especially noticeable when standing or walking. If you think you may have arthritis in your toe, see your doctor. If you have a bony, uncomfortable bump at the base of your big toe, and/or if your big toe leans toward your other toes, you may be experiencing a bunion. Fairly common, bunions can result from genetics or from years of wearing poor shoes. If you think you may have a bunion, see your doctor. In the meantime, wear comfortable shoes that will not create a painful rub, gently stretch your foot to increase mobility of the joints, and apply a cold pack to the pain to help with inflammation. A metabolic condition with the ability to affect the big toe, gout occurs in the body when uric acid builds in the blood and deposits crystals into a joint. Often this occurs in the big toe joint. Symptoms of gout-related toe pain include redness, heat and pain. Because untreated gout can cause significant and irreversible joint damage, it is important to see your doctor right away if you think you are suffering with gout. Dietary changes may make a significant improvement in gout-related symptoms. Near the big toe are two small bones known as “sesamoid bones.” They are located in the tendon responsible for flexing the big toe downward. As such, activities that involve balancing on the toes — such as ballet or basketball — can create chronic trauma to the sesamoid bones resulting in sesamoiditis. If you have pain when pointing the big toe downward, you may be suffering with sesamoiditis. If so, see your doctor right away. Commonly used to define a sprain of the ligaments around and associated with the big toe joint, "turf toe" is often associated with football players. Turf toe can also happen to athletes in other sports, including (but not limited to) basketball, dance, gymnastics, soccer and wrestling. Often, turf toe happens as a result of jamming the big toe repeatedly, specifically when running and/or jumping. One way to avoid turf toe is to pay special attention to shoe quality and athletic form. Common symptoms include swelling, pain and limited joint movement with regard to the big toe. Typically, the symptoms worsen over time. If you think you have turf toe, see your doctor. 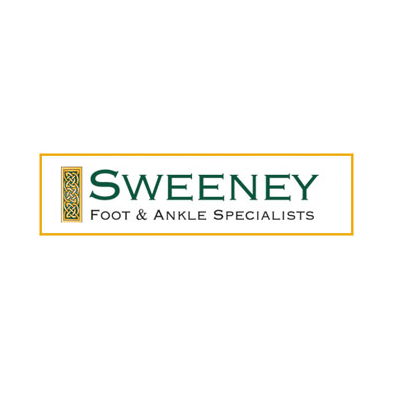 If you are suffering from foot or ankle pain or discomfort, we are here to help. Schedule an appointment today!